Let's remember that yoga is a way of life, and in many ways quite different than the life that you may be accustomed to. Simply put, we could say that yoga guides us from a life of ignorance, selfishness and ultimate dissatisfaction, into a higher life -- into a life that is lived with proper understanding of Universal laws and of the true nature of our selves and the world around us. Yoga helps to bring greater meaning into an otherwise aimless and frustrating existence, and guides us along a path of evolution during our time here on this earth. Yoga teaches the behaviours that will support a fruitful, spiritually advancing life, and helps us to perform the right actions, in the right manner, at the right time. All the while, yoga recognizes the fact that we all do have our own free will, and that each of us is indeed responsible for our own growth, as well as the results, good or bad, of our every action in this life. Each and every one of us is on our own path in life, and each and every one of us will be inspired to progress according to our own individual inclinations. 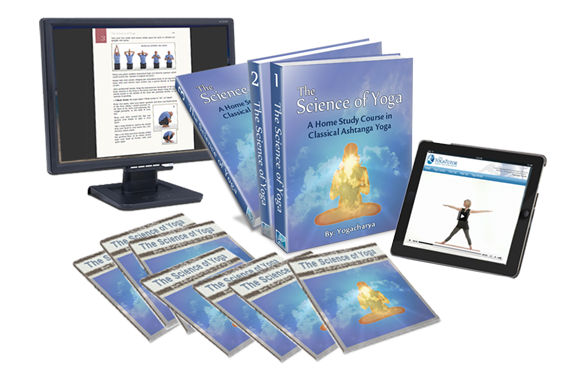 Not all that this Science of Yoga course presents will be immediately digestible, or even desirable by some, yet others will readily absorb it and crave for more. There are no requirements and nothing that you must achieve. No one can tell you what you can and can’t, should or shouldn’t do, or that you must accept any of these teachings before you are freely willing and able to do so. All that I request is that you proceed in your study of yoga with an open mind. It is my hope that the lessons to come will inspire you, intrigue you and perhaps awaken in you a part of yourself previously unknown. Above and beyond all else, it is my sincere hope that the teaching put forth here will bring you joy and enrich your life in some way or another. NOTE: This yoga article is an excerpt from The Science of Yoga, an online yoga training program with streaming yoga videos and 600 pages of step-by-step yoga instruction. ... It is indeed a masterful work." 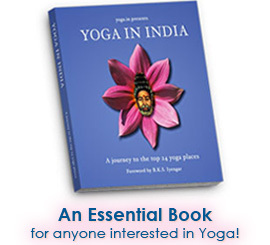 - Why Are There So Many Yoga Styles? - Yoga Classes-Licence to Print Money?